Would you like your own personal guided tour in Copenhagen? Please tell me what you are interested in and I will tailor a guided tour or city walk for you in Denmark’s capital. A tour where you will experience whatever you prefer. In the autumn 2018 Lonely Planet singled out Copenhagen the no. 1 city in Best in Travel 2019 – Top Cities. Denmark’s capital of cool is unstoppable, says the guide book publisher. 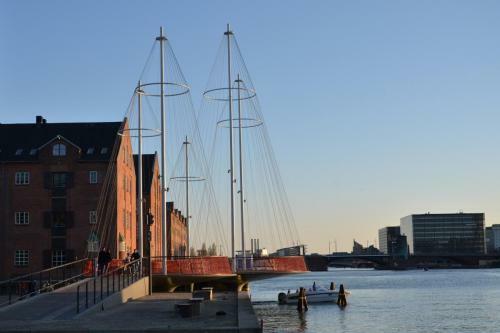 It is the food, the architecture (both the new and the old), the Danish focus on sustainability, all the water around Copenhagen and the green spaces of the city which gave Copenhagen the position as no. 1. Copenhagen is irresistible. But wouldn’t it be nice to experience Cool Copenhagen focusing on exactly what interests you most of all? Please tell me what you are interested in and I will customize a private guided tour or city walk for you. And of course you can bring your family or friends on the tour. What would you like to experience on your guided tour: Classic sights, art, architecture, everyday life? Perhaps you prefer a classic Copenhagen city walk where you experience the famous sights. Perhaps you prefer places where all the other tourists do not go. Perhaps you want a bit of both – or something completely different. Slow Tours Copenhagen creates exactly the guided tour you prefer. And you have plenty of time to immerse yourself in all the experiences – no matter if your interest is art; everyday life; history; architecture; photography; means of transport or something else. The price for your private guided tour depends on the duration of the tour and which experiences you want. Please contact Slow Tours Copenhagen if you want to know more about customized guided tours and city walks in Greater Copenhagen.